Over the course of a single baseball game, Billy Coffey shares a story that connects past and present, first love, baseball, and a bit of magical realism. 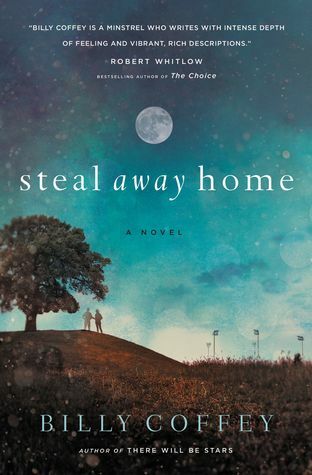 Steal Away Home is compelling and atmospheric, as engaging and charming as Coffey’s previous novels, and it’s a story I will not soon forget. I loved getting to know Owen Cross, his experience and history, and Coffey tells his story so beautifully. It was hard to put down. I enjoyed reading every page, highly recommend it to fans of the author, and look forward to reading more of his books in the future. Thanks to BookLook Bloggers, I received a complimentary copy of Steal Away Home and the opportunity to provide an honest review. I was not required to write a positive review, and all the opinions I have expressed are my own.